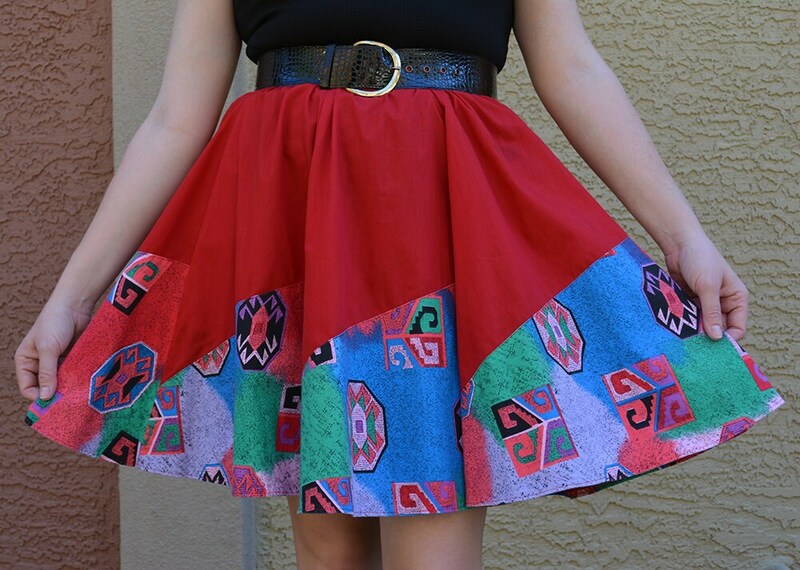 Glamorous 80s southwestern skirt for sale. 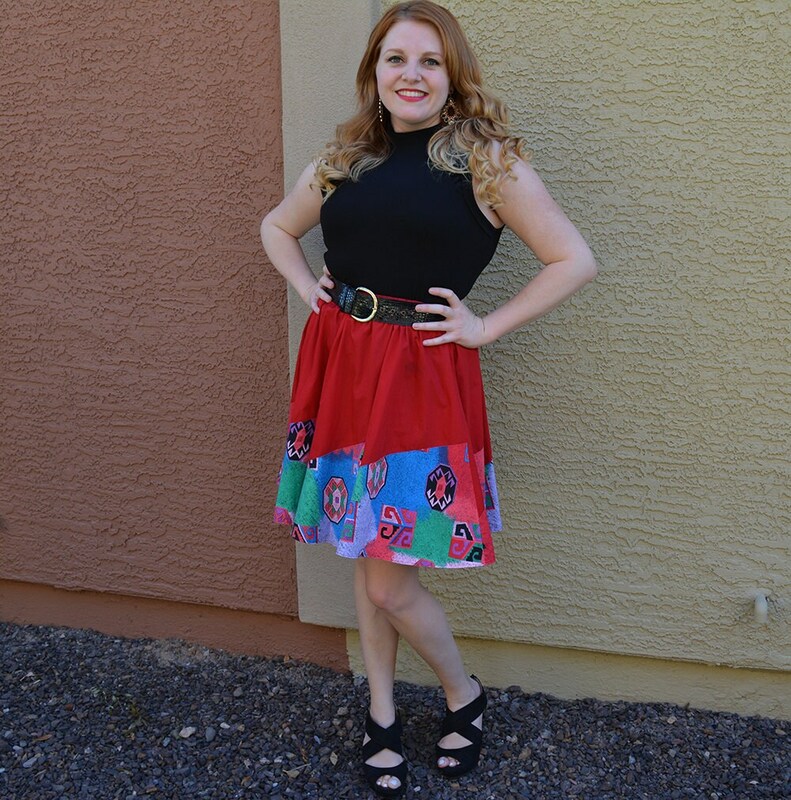 We love the print on this skirt! It is in excellent vintage condition. This skirt flares out in such a lovely and figure flattering way. This can be styled glamorously or it can also be styled more casually in a more classic western look. It looks great with sandals, heels, and boots. You can't go wrong with this one of a kind gem! Waist: 11 1/2 inches to 17 1/2 inches when the waistband is fully extended. The model wears a 10 and it fits great!